This kit is created for you to have everything at hand to treat a wide range of trauma injures. This Kit coupled with a knowledge of using the MARCH protocol will help to save lives. Classroom, home, Church, backpack, vehicle, range -- it is perfect to be kept in its sealed bag and placed where it might be needed. Or you can break the kit down and organize its contents to fit a pouch of your choosing to work with your duty gear and kit. 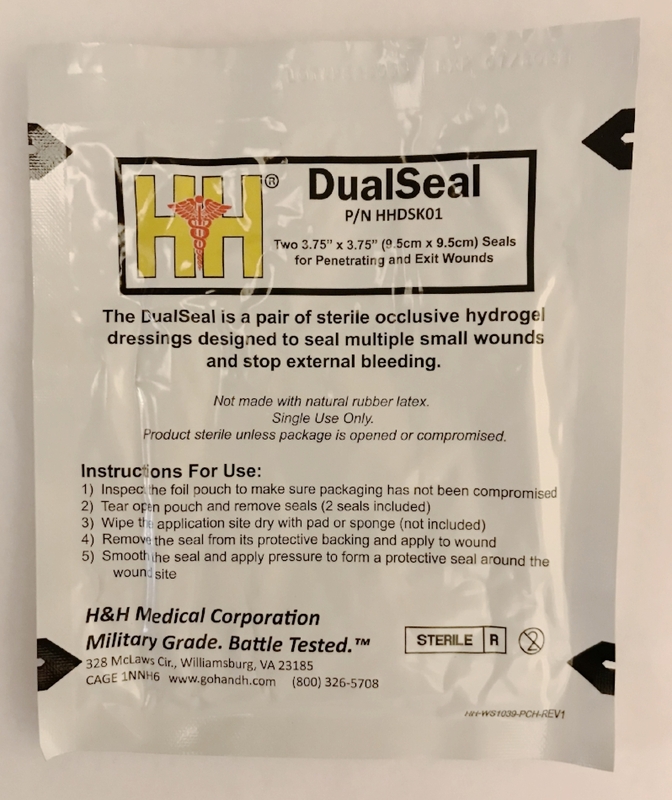 H&H Compressed Gauze takes care of moderate to severe wounds involving heavy blood loss. 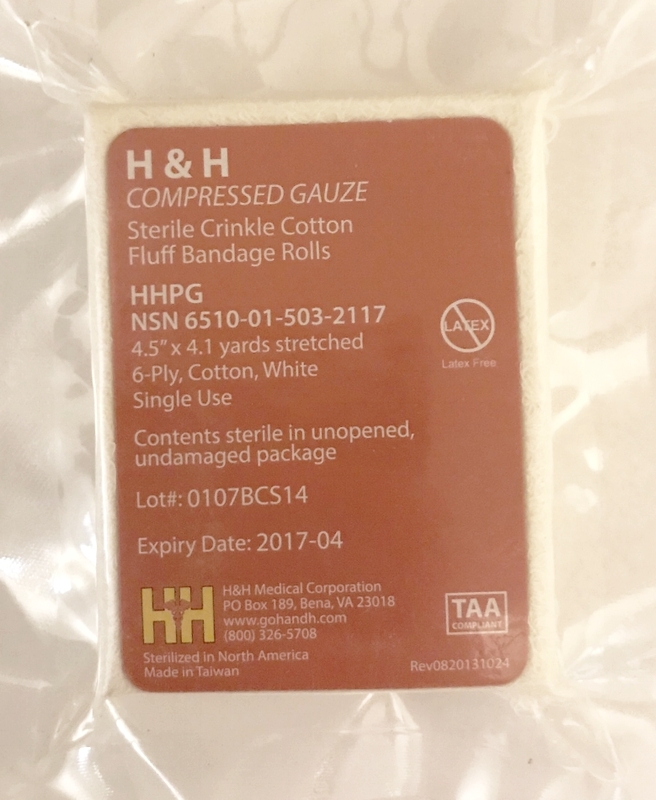 Made with high quality cotton for maximum absorption and stability, H&H Compressed Gauze is vacuum packed small for easy storage yet expands to cover large wound areas. The product comes with a 4.1" x 4.5 yards (stretched) roll of crinkle fluff USP Type VII compliant gauze, sterile and ready to use.